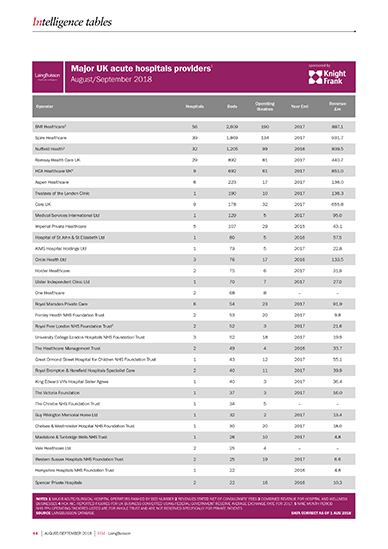 10 issues per year plus full access to the online archive. 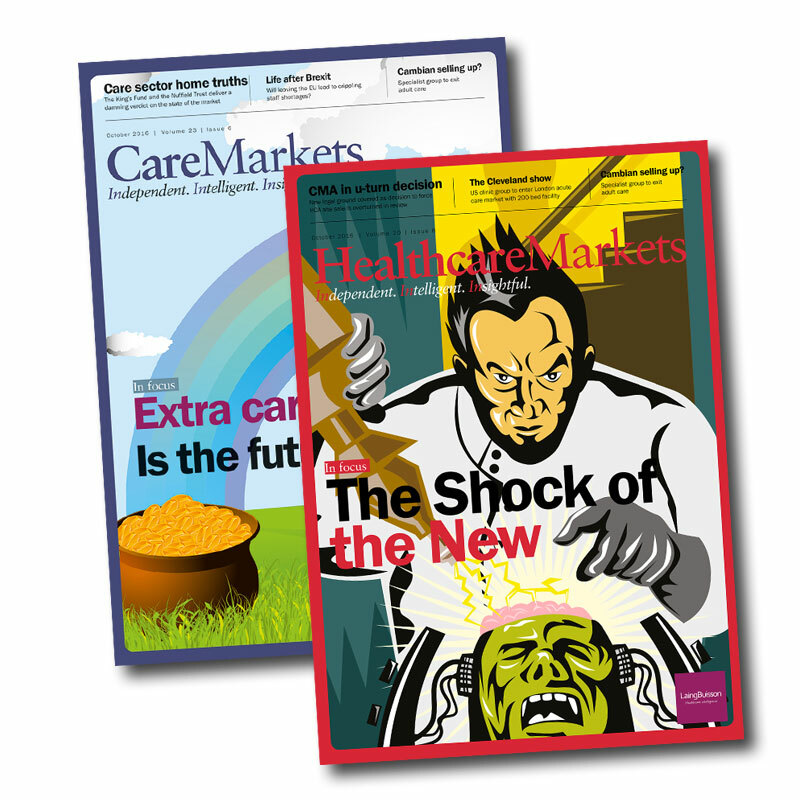 Healthcare Markets is the only monthly independent healthcare newsletter which concentrates solely on bringing you news of developments and trends in the field of independent acute, mental health and primary care. 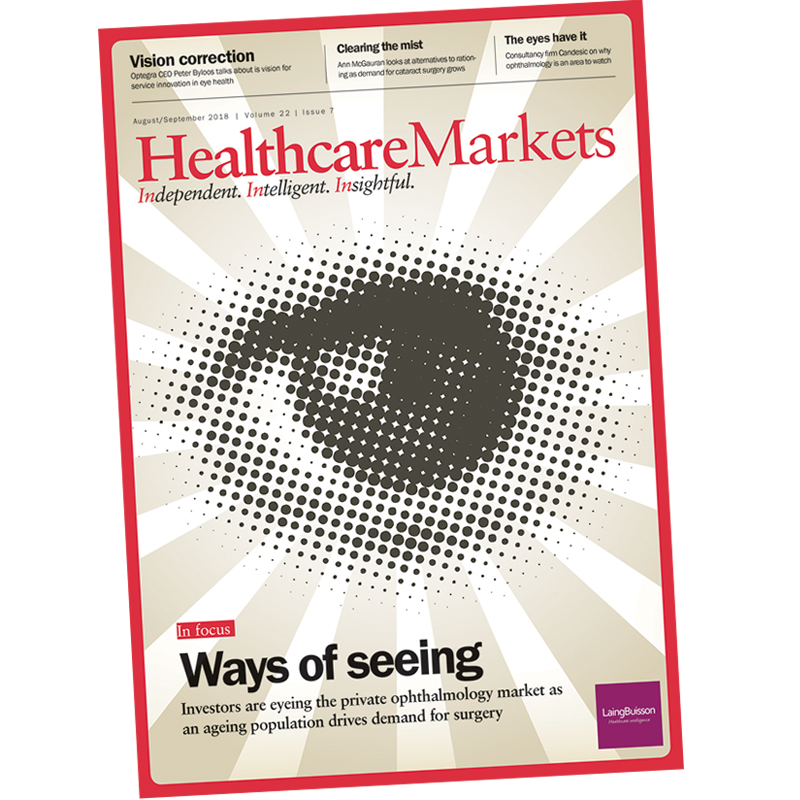 Healthcare Markets delivers comprehensive, reliable and independent reporting on the full range of acute and primary healthcare services markets operating outside, and in partnership with, the NHS. 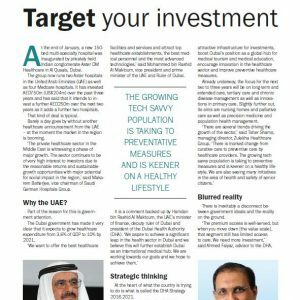 The magazine covers medical and surgical hospitals and clinics, psychiatric hospitals, dentistry, primary healthcare and temporary/flexible staffing. 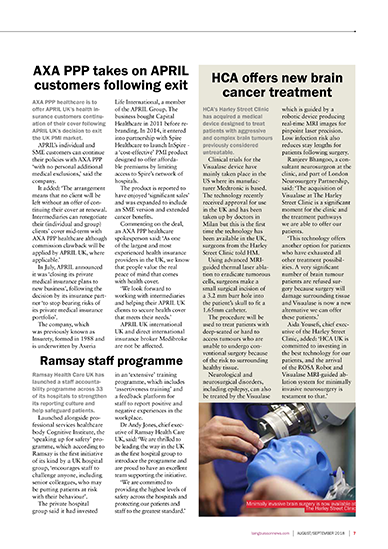 It also covers the private medical cover market. 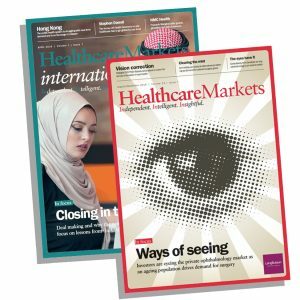 Always at the forefront of the news, Healthcare Markets prides itself on its interviews with leading names in the sector, its in depth features and business news coverage which is second to none, providing invaluable insight and analysis. 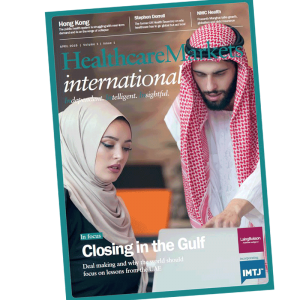 Themed issues, guest writers and unique early access to the intelligence which feeds into LaingBuisson’s leading sector reports, make Healthcare Markets the must read publication covering the business of acute care. 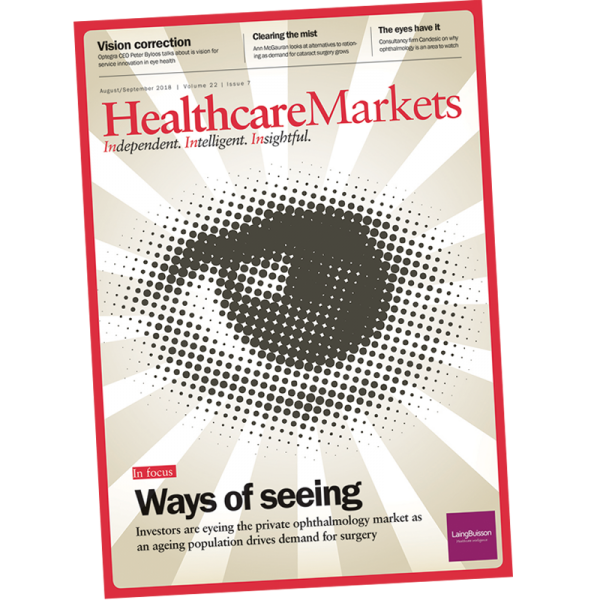 As part of the LaingBuisson portfolio, Healthcare Markets’ key sources and market intelligence make it first with news analysis, exploring the important issues and topics which affect the sector. 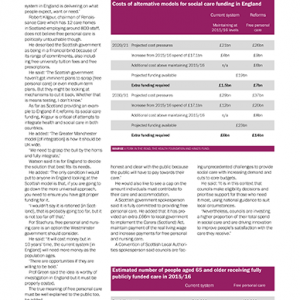 A unique feature of the publication, and our social care sister title Care Markets, is the access to healthcare intelligence contained within LaingBuisson’s proprietary database and consultancy teams. 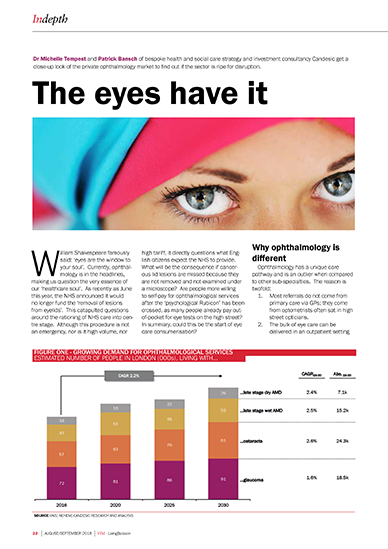 This allows the implications of each article to be assessed in the context of underlying trends and emerging market forces. In addition to the ten print editions delivered through the year, subscribers have access to our password protected news stream and fully searchable online archive of stories dating back well over a decade. 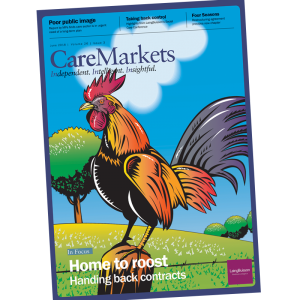 Our digital subscriptions also includes use of Healthcare Markets‘ online portal where you’ll find PDF editions of each monthly issue – available to download in advance of distribution of the print copy.